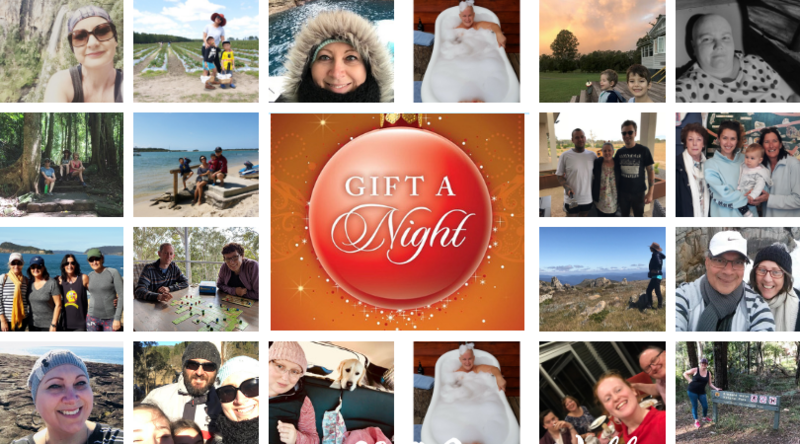 Support families dealing with breast cancer this Christmas by “Gifting a Night” to The OTIS Foundation. 2,534 people stayed at an OTIS property at no cost last financial year. You can help more families dealing with breast cancer by supporting our Christmas Appeal. Truly experience the gift of charitable giving this Christmas by helping The OTIS Foundation to offer retreat accommodation, at no cost, to people dealing with breast cancer and their loved ones. Each year we offer close to 3,500 of retreat accommodation at no cost to those dealing with the challenges of breast cancer. The OTIS Foundation’s Board has recently set the ambitious target to double the nights we offer to our guests nationally by 2021. Your donation will help to achieve this target as well as offering a generous gift to a stranger to allow them to relax, reconnect and create special memories with family and friends in a beautiful environment. You may like to consider personalising your donation to give as a gift to family or friends this Christmas. They will receive a certificate acknowledging the unique gift you have donated in their honour. We will provide you with a donation certificate which can be personalised to give to friends and family acknowledging the unique gift you have donated in their honour. Certificates will be emailed to the recipient’s nominated email address once your payment has been processed. Alternatively, you can enter your own email address to have the certificate sent directly to you for printing and presenting as a gift.